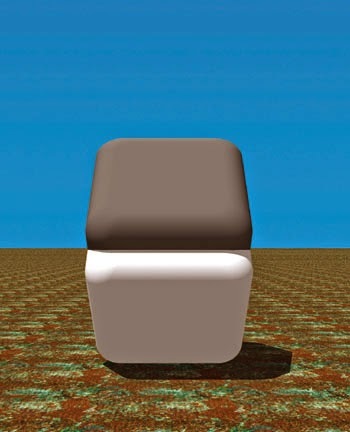 Optical illusion: The gray surface facing upward is the same as the white surface facing downward. Cover up the area between them to compare them. They are still pics only they look like they're animating. After reading "Color and Light", every time we encounter this in print or in our own paintings, I always tell my girlfriend, "Check out this Gurney moment!"